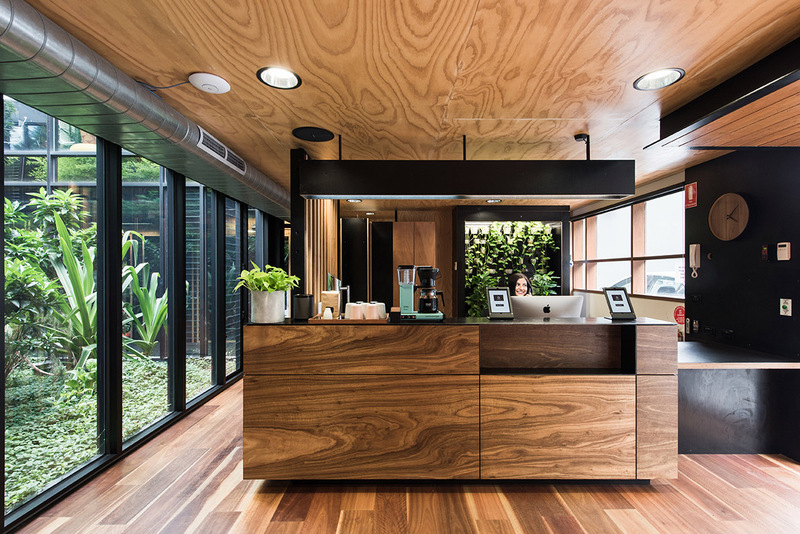 Co-working space ‘The Commons’ was the 2017 Gold Winner of the Melbourne Design Awards thanks to it's glowing 100% renewable energy credentials and insightful design, where multiple spaces have been created with the ability to cater to people’s various moods and needs. 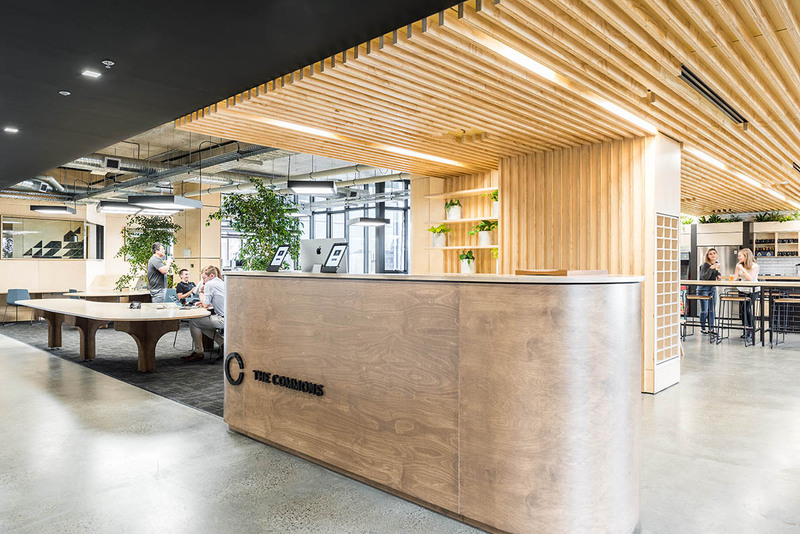 Urban.com.au caught up with CEO of ‘The Commons’ Cliff Ho, who explains the key differences of co-working facilities in comparison to traditional office spaces, and how the team have used intuitive design to enhance the health and wellbeing of employees. Cliff Ho: In Sydney, we chose Chippendale as it’s known for its creative scene and converted warehouses, Chippendale has become popular in recent years for its beautifully designed cafes, stores and art galleries; it was the perfect location for our first space in Sydney. In July 2019, we will open our first space in Melbourne’s CBD in QV. We wanted to find the best spot for this location and we landed on a place with some of the best retail stores and most delicious restaurants. Located at 3 Albert Coates Lane, we will only be a minute walk to Swanston Street, Melbourne Central Station and Chinatown. U: What benefits do users get from working in a shared office compared to a private office? CH: We've really set ourselves apart with a strong focus on three main components, community, wellness and logistics. The Commons is built on the belief that Community in the workplace is the foundation for success. Our primary objective has always been to cultivate a group of people and businesses who contribute to the growth and happiness of everyone under The Commons roof. We take our wellness seriously and we know our members value it as well. We provide members with weekly on-site yoga, meditation and spin classes. Lastly, in comparison to a traditional office, you can expect to save 66% in your first year of business and 30% in each consecutive year after. We provide all the amenities you need with none of the administrative hassles, so you can enjoy the all-inclusive services and benefits with no hidden costs. U: In what ways have The Commons offices been designed in an environmentally conscious way, and to achieve a low carbon footprint? CH: The Commons is offset by 100% renewable wind and solar energy. We give our members easy options to make sustainable decisions in their daily lives by providing reusable containers and eliminating single-use plastic, encouraging alternative modes of transportation and keep recycling bins accessible in all our spaces. Furthermore, we are always seeking more information and diffusing it to our community so we all can make better decisions together. 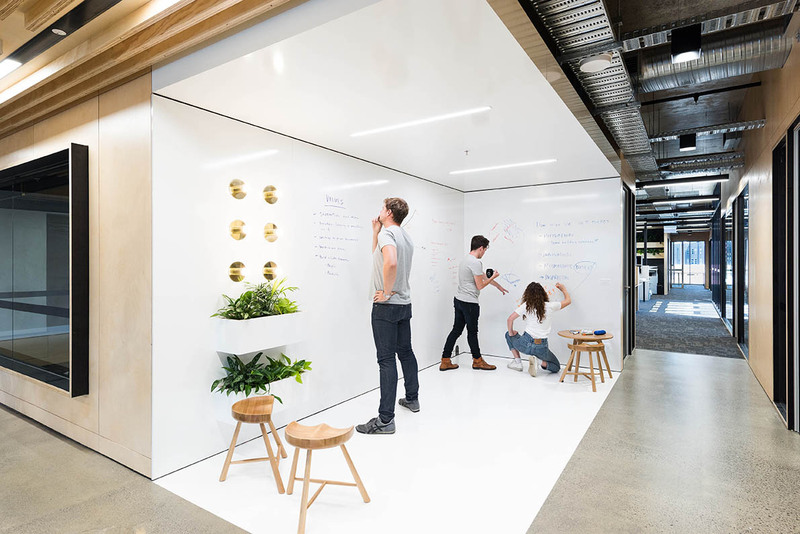 U: How has the office been ergonomically designed to support the health and wellbeing of its users? CH: After extensive research, we’ve designed an environment that is catered to people’s various moods and needs. 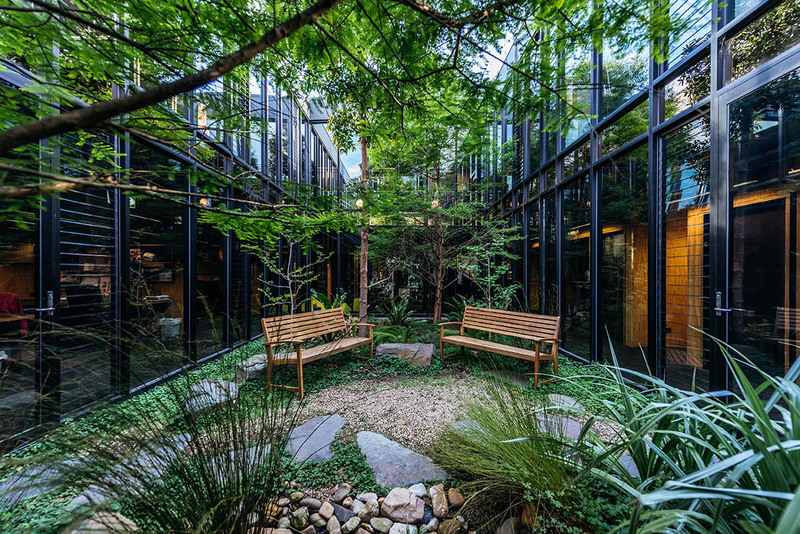 Our architects, designers of both Google's and Facebook’s head office, sought to build a space where members could feel calm and inspired and be productive and creative. 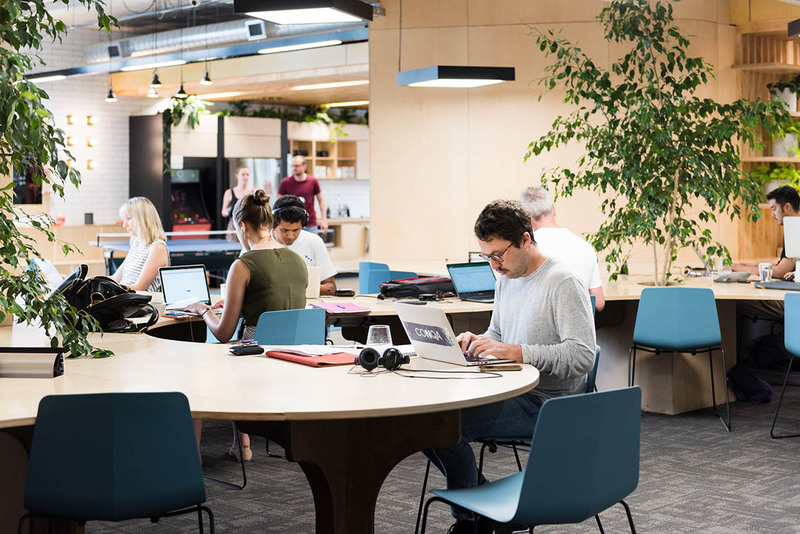 Our spaces have been designed with meticulous attention to detail and the belief that well-considered design is essential to improving the work life of our members. Every aspect of The Commons exists to create a path for creativity and shed unnecessary obstacles, so our members can focus on their ideas. The services we provide are centred on helping our members achieve a balanced and integrated work life. From our onsite wellness program to our dedicated quiet zones, we’re always tailoring an experience catered to our complex and diverse human needs. U: Do the industries you market your services to determine what you include in your design? CH: Our designs are firstly informed by human need and secondarily by industry needs. We also do a lot of listening to our members and create amenities that they ask for. For instance, our spaces feature podcast studios, photography studios and even a Maker space, but at the core, we design with people in mind.